Get to know the six outstanding students selected to receive this year’s award. Master of Planning student Victoria Ascah identified Halifax as a city in a development transition. She was looking for a place she could study and be part of the change taking place. During her first degree at the University of Alberta, Victoria studied post-conflict development in Kosovo. This study-abroad program led her to planning as she became interested in the politics of space and how she could take action to shape her community. Victoria also recognizes how she grew on a personal level by developing skills in critical thinking, time management, public relations, and political awareness. Perhaps most importantly, this work term has offered her the ability to experience what her chosen area of study is like as a career. Victoria is thrilled to have the affirmation that she has chosen a profession well suited to her. 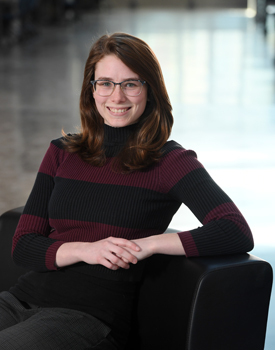 She has been inspired to pursue a career working within a municipal government and has discovered her passions include active transportation, sustainability, transportation equity, and winter city design. Co-op work terms are not only beneficial for the student. Victoria’s supervisor’s reflections on her contribution are equally as glowing: “Victoria has exceeded our expectations in terms of work volume and the quality of her work,” says Rachel Gilbert of the Municipality of East Hants. Victoria was recognized for not only being a fast learner, but for having a skill set beneficial to complete a complicated task more efficiency and precisely than others in her office. Victoria went above and beyond all expectation by taking the time during her co-op term to revitalize the Professional Pal Program. This program, a partnership between the Graduate Planning Society (GPS) and the Licensed Professional Planners Association of Nova Scotia (LPPANS), matches practicing planners with planning students. The connections Victoria made in the workplace and her diligent efforts resulted in the involvement of 27 planners who acted as professional mentors to 27 planning students. In grade 11, Claire Attridge took a class trip to Vancouver Island’s Bamfield Marine Sciences Centre that would eventually impact her future career in ways she couldn’t have possibly imagined at the time. When the time eventually came to embark on her final co-op work term search, her thoughts returned to that high school trip to Bamfield. “I remember at the time thinking, ‘I’m going to come back here one day. I’m going to work here one day.’ I fell in love with the place on that trip. And then I realized that I didn’t have to wait until I graduate to make it happen. “I put a lot of effort into pursuing this [co-op opportunity],” she acknowledges. After reaching out to Bamfield, Claire was connected with their director of education. After a few emails back-and-forth, she finally got a phone interview, and the rest is history. In a full-circle kind of way, Claire’s role at Bamfield had her coordinating the same types of field trips that she experienced there several years ago. When you grow up on a fourth-generation family-run 3000-acre farm as Katherine Bertagnolli did, hands-on work experience factors heavily into your learning style and academic choices. A native of Rocky Mountain House, Alberta, Katherine was exposed early on to the business side of farming and had a strong desire to see the world. 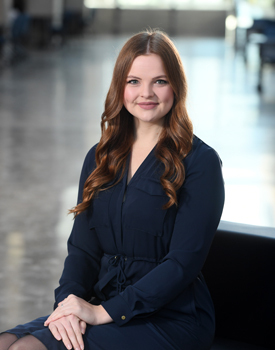 Once she found out about Dalhousie’s Bachelor of Commerce program, which offers three built-in co-op work terms and the option to complete them abroad, she knew it would be the right fit for her. 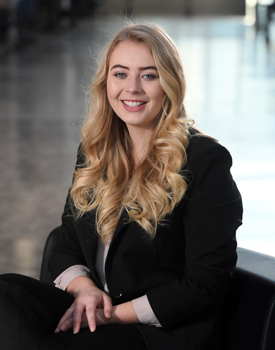 She quickly discovered that finding co-op jobs in other countries would require extra effort and advance planning compared to the typical Canadian co-op job search. Thankfully, as a three-time national gold-medal winner in speed skating, she had the competitive drive and determination needed to develop her own international co-op opportunities and outperform her peers. 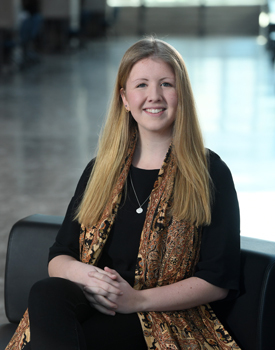 She spent her first co-op last winter working for Needhams 1834, as a Business Continuity Analyst in London, England, and a fall co-op in Tuggerah, Australia, at Bishop Collins Group where she worked as an Audit Trainee. But Katherine wasn’t content to simply show up and do the work. She consistently found ways to expand her on-the-job learning, take on extra responsibilities, and produce work that exceed the expectations of her respective supervisors – both of whom nominated her for the Top Co-op Student of the Year Award. During her four-month co-op at Needhams, where she was the company’s first-ever co-op employee, Katherine used her own creativity and initiative to create and present an interactive crisis management simulation tool that could be adapted to meet the diverse needs of prospective users. The firm has since been using the Jeopardy-style tool with a range of clients and sold a license to two universities. Seeking a new challenge and a change of scenery for her fall co-op, Katherine describes her time at Bishops Collins as having “rewarded me richly with many difficult assignments.” This included the audit of four separate political parties following a local election and completing tasks that are typically reserved for audit managers and directors. Katherine attributes her success in the workplace and in school to the mentorship she has received, which has helped build her confidence, critical thinking skills, and adaptability. Myles Burry came to the Bachelor of Environmental Design (BEDS) program with a fair amount of knowledge in the field of Architecture. 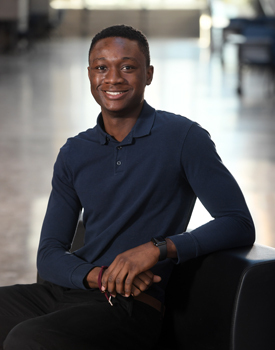 Having already obtained a three-year degree in Architectural Engineering Technology and a Bachelor of Technology, he was ready to expand his Architectural education and embark on the path to becoming a licenced architect. Born and raised in Newfoundland, Halifax was the natural choice for Architecture school. However, it was the co-op program that confirmed this. 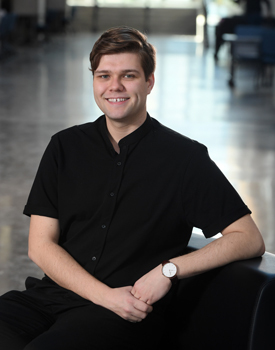 “Dalhousie’s Architecture program contains multiple work terms which I believe are very important to understating ones chosen field while providing valuable work experience,” reflects Myles. Myles’ hopes for a beneficial experience did not disappoint. Employed at Rayleen Hill Architecture + Design Architects (RHAD) in Dartmouth, NS, Myles’ technical experience quickly earned him a place as a valuable member of the team. With the help of his employer, Rayleen Hill, and her team, Myles was able to move beyond his comfort zone and develop skills that will benefit him throughout his career. Working in a small firm presented the opportunity for him to learn about the business side of the profession, something rarely talked about in school. Myles learned from a small business owner about what she believes works and what doesn’t, what types of projects to take on, and how to properly engage with clients and contractors. He also had the opportunity to step outside his comfort zone and practice communicating with other allied professionals. This helped him become much more comfortable and confident in his communication abilities. “My work with RHAD Architects allowed me to develop my overall career and personal skills while confirming the benefits of real-work experience in a multi- faceted profession,” says Hill. Myles’ employer also benefited from his contribution. He impressed Rayleen’s team with his ability to produce work quickly and effectively. Reflecting on his childhood growing-up in Nigeria, David Idemudia explains how his dad, a land surveyor, would frequently take him and his older brother on car rides to show them the different projects he worked on every day. He was proud to teach them about what he did for a living and the impact his work had on the world around them. As a kid, David aspired to follow in his dad’s footsteps and becoming a land surveyor himself, but later decided that engineering held his interest a bit more. When it came time to choose his discipline during his second year of engineering, he landed on civil — a discipline that frequently works with land surveyors and was all too familiar to him. When he started at Dal in 2015, the co-op program couldn’t have been further from David’s mind. His plan was set (or so he thought). He’d complete his Bachelor of Engineering within four years, following which he’d dive into a master’s degree. A career could wait, at least until his education was complete. David explains that there are three main fields within civil engineering: structural (buildings), transportation (roads), and municipal (water, sewers). Thanks to a co-op work term with the Halifax Port Authority, David’s already been given the opportunity to work on the first legacy project of his young engineering career: the design and construction of a stairway and fire escape for the large grain elevator located in Halifax’s south end. It’s a project that was entirely his — from start to finish — where he developed the preliminary design, prepared the project for construction tender, responded to questions from bidding contractors, and ultimately selected the winning bidder to construct the project. A big job for a young engineer, whose talent is already putting him in high-demand. One of those successful bidding contractors, Harbourside Geotechnical Consultants, were so impressed with his work at the Halifax Port Authority, they offered him an eight-month co-op position on their team.